Life for Jersey girl Rory McShane has always been pretty simple: work to pay the bills, study to get in to a good college, and keep mom from ruining their lives with her silly boyfriends. 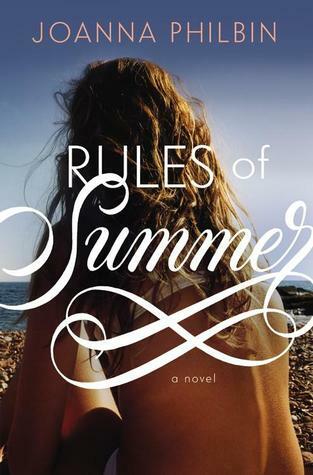 However, the summer before senior year she decides to help out her aunt who works for a very wealthy family at their beach-side mansion in the Hamptons. Rory’s job is to be an “errand girl” in exchange for room and board. She hopes it will be a nice change of pace from her boring Jersey town- but there’s no way she could predict the terrible temper of the family’s youngest daughter Isabel, or how fast she falls head-over-heels for the youngest son, Connor. Before Rory knows it, she’s facing the Hampton’s social scene and trying to figure out whether she’s an employee of this house or a guest- and is she totally imagining that Connor might be interested in her the same way? This is a great summertime read! Joanna Philbin writes a really fun story here, which bounces back and forth between the perspectives of confused and spoiled Isabel Rule and down-to-earth Rory McShane. There is a mysterious subplot that keeps the book from being too fluffy, and the romances are beautifully written. Give this to any fan of contemporary teen romances!